Since mentioning the words Periodic Coffee Table in my last post (The Geek Craft Book review) I have been inundated with people asking me “What? Where? How?”…So here it is: everything you need to know about this, well, rather large find! 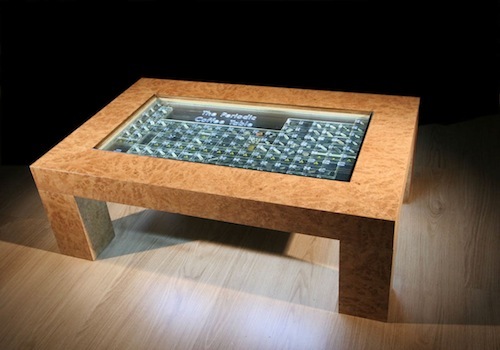 Little did Periodic Table inventor, Dmitri Mendeleev, realise that when he created his graphic display of Chemical Elements in 1869, it would be at the foreground of one of the most originally designed coffee tables to date. Designed by Theodore Gray (author of The Elements) and Element Collection this is no mere coffee table: it’s a work of art. Forget occasional table - this is a periodical table. 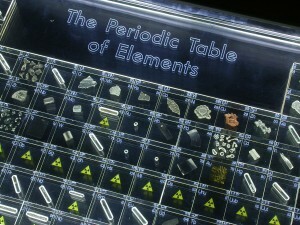 Made by British craftsmen the periodic elements sit in the table, which is made of burred oak and measures 4 x 2.5 foot. 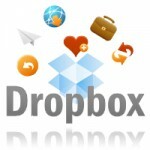 Each element sample is individually embedded into separate, solid acrylic blocks. The blocks are illuminated beneath the toughened glass. There is no need to worry about toxic poisoning when you’re drinking your espresso as the acrylic blocks safely encase any harmful substances – and also protect the elements from tarnishing. 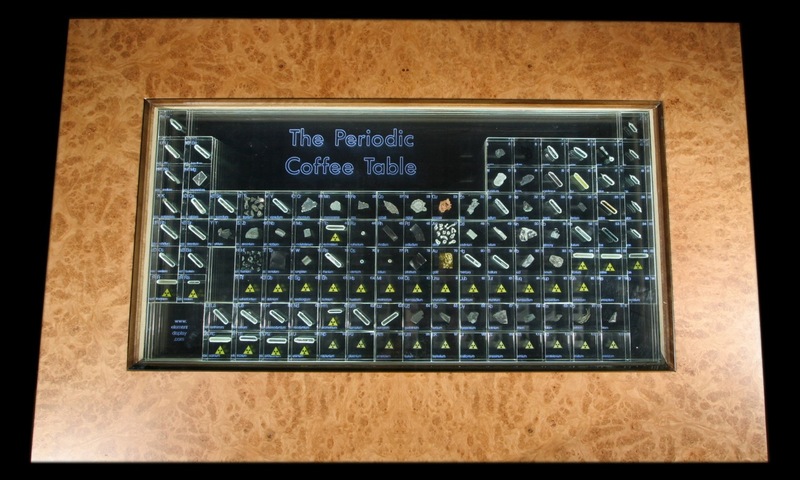 The Periodic Coffee Table is a splurge at £4,750 (I know), but if you want an investment piece for your geek pad, something that will last for years and years, and a piece of art rolled in to one, what else could you want? This is truly a beautifully designed coffee table, original and sure to be a fantastic centrepiece in your room. If, like myself, you cannot stretch that far, but want something unique and individual for your house, Element Displays also offers a wide range of element-based products: Block Displays, Element Collections, Posters, and Installations. Also for sale are the same acrylic blocks used in the Periodic Coffee Table sold individually. 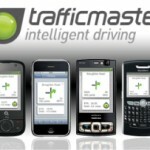 Prices range from £25 to £150. 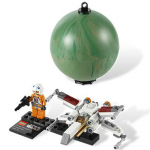 Element Collection is part of RGB Research Ltd, which is a subsidiary of The Red Green and Blue Company Ltd, a science production company, set up by former BBC Producers Max Whitby and Cathy Collis. Be sure to check out the website for upcoming projects and Element Collection for future designs and ingenious ways of displaying the World’s chemical elements.